Collection of famous Holland proverbs, true sayings and wise words. Use words and image sayings to keep you moving forward! 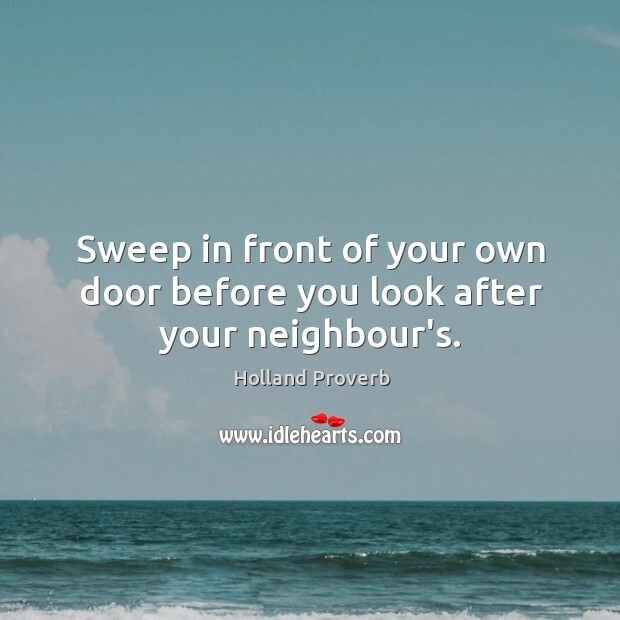 Sweep in front of your own door before you look after your neighbour's.